Engineers in Science program students create a device to assist quadriplegic athletes in Innovative Design for Accessibility challenge, placing second in the competition. 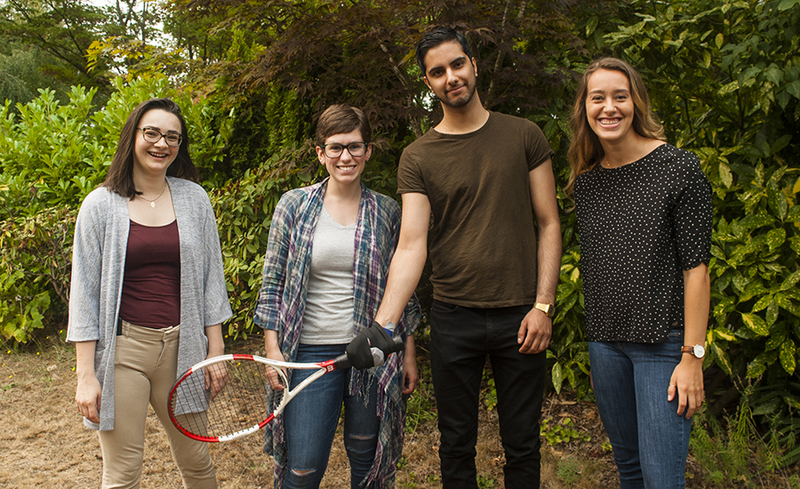 The UBC team: Carly Jones (second from left) – 2017 graduate of Engineering Physics, Jeanie Malone, Taylor Molde, and Avineet Randhawa are Master’s students in the School of Biomedical Engineering. UBC Faculty of Applied Science announcement here.